Imagine my surprise a few weeks back to be watching TV and hear that Helio Castroneves was on Dancing With The Stars. I don’t normally watch the show, but Helio was one of my favorite drivers back when I followed open wheel racing. I caught a couple of his appearances and he had the same great attitude and winning smile from when he stormed on the Indy car scene way back when. This picture of Helio is from June of 2001 at Portland International Raceway, taken as he prepared to climb in the cockpit. He was driving for one of the most storied teams in Indy car racing, Penske Racing, and had just won his first Indy 500 a few weeks earlier (he’d win another the following year). The Penske team switched to a rival league the following year that didn’t race at road tracks like Portland, so this was the last time I got to watch Helio drive in person. I eventually lost interest in racing due to the ridiculous fighting between the rival leagues, but it was still fun to see one of my old favorites pop up in the news again (and go on to win the dance competition no less). 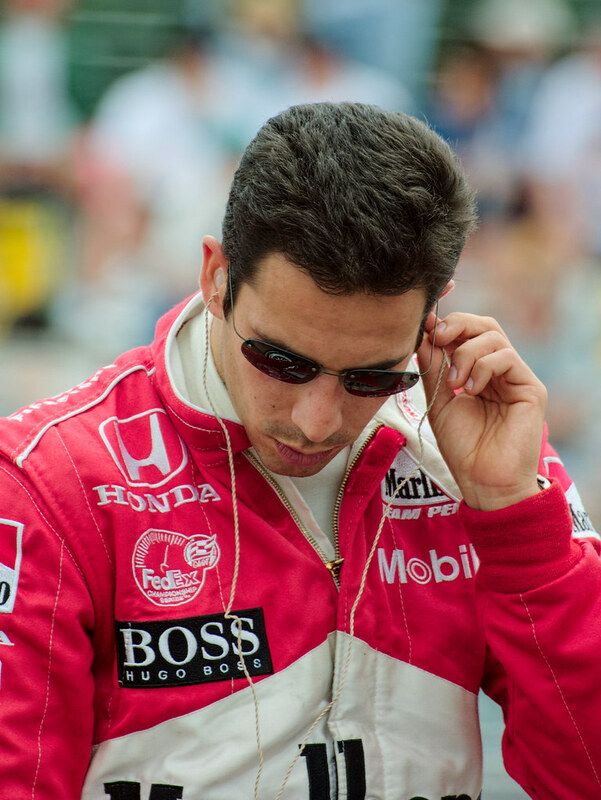 This entry was posted in Sports and tagged CART, Helio Castroneves, IndyCar, Oregon, Portland, Portland International Raceway, racing, Team Penske. Bookmark the permalink.